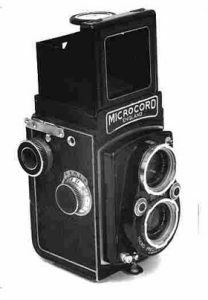 The club is the world authority on cameras and photographic equipment manufactured by the former British company Micro Precision Products Limited of Kingston-on-Thames and Wandsworth, London, England. 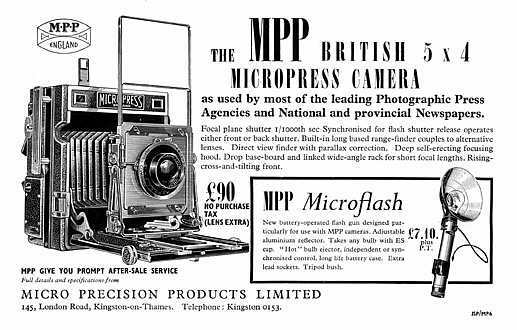 Founded in 1995, the objectives of the club are to foster the use of MPP cameras and other photographic products and membership is open to all who own, use or just collect MPP products. It is small single interest club based in England, run by a group of enthusiasts both professional and amateur, who give their time freely for the benefit of fellow members. Service and repair of cameras, making replacement parts, magnification tables and lots more. Original issues of the GAZ - the original Newsletter - full of information. To gain access to the Members' Area you will need to join the club. With membership comes a regular free Newsletter packed full of articles relating to M.P.P. equipment, its use or repair. The Public Forum attached to this web-site is open for ALL to view and participate in.